We don’t simply serve Yorkshire Tea because it tastes great – we serve it because of its sustainable credentials. Yorkshire Tea have worked very closely with the Rainforest Alliance to help to reduce the environmental impact of tea growing through smart and sustainable farming techniques, major reductions in use of agrochemicals, and better waste management and water treatment. 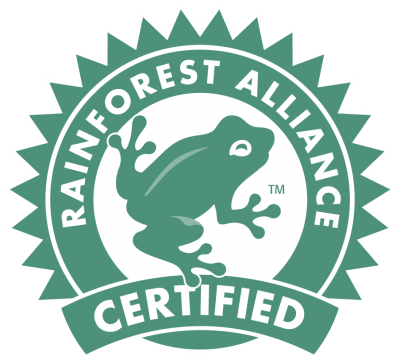 The Rainforest Alliance is a growing network of farmers, foresters, communities, scientists, governments, environmentalists, and businesses dedicated to conserving biodiversity and ensuring sustainable livelihoods. They are an international non-profit organization working to build strong forests, healthy agricultural landscapes, and thriving communities through creative, pragmatic collaboration. To find out more click here.